ChicCanvas.com is an online professional printing service that provides personalized photos on canvas and designer canvas prints. 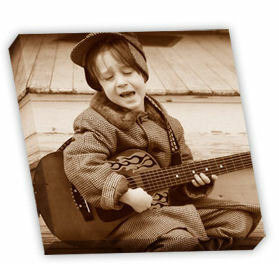 Prints on canvas can be unbelievable, cherished photo gifts for people of all ages. They have been offering exceptional quality canvas prints for almost 25 years. Prints on canvas offer a perfect keepsake gift solution for a any family member and friend by turning precious memories into an exceptional art piece by taking any photo and reproducing it on to a canvas. I’ve seen a few canvas prints, in fact I have one from a competitor, and the picture only covers the front of the canvas and the edges are blank. Your ChicCanvas.com purchase will include a museum wrap on a 1.25″ thick stretcher bar. Museum wrap means your photo will wrap completely around as displayed in this sample print. You need to keep in mind the edges that will wrap. Make sure the focal point of your photo in not directly on the edge. There are also a variety of color option. The “Full Color” option prints your image with the original color intact. The “Sepia” option prints your image with a Sepia tone that looks similar to an antique style. And the “Black & White” option prints your image using a black and white scale of color. There are a number of options to create a perfect, timeless gift. 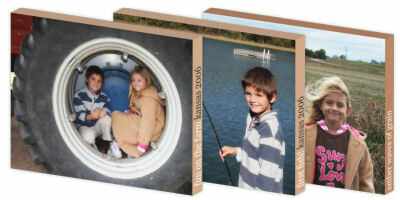 Each finished product can be personalized and stylized with captions and borders. You can purchase canvases in a range of sizes from 8″ x 10″ to 40″ x 60″ with prices starting at $79. I will receive a free canvas print as compensation for this post.